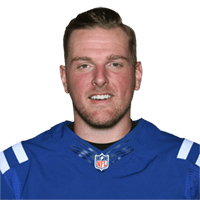 Published: Nov. 24, 2016 at 09:20 p.m.
Indianapolis Colts punter Pat McAfee finds tight end Erik Swoope for 35 yards on the fake punt. Published: Dec. 6, 2015 at 08:36 p.m. Published: Aug. 29, 2015 at 08:27 p.m. Published: Oct. 9, 2014 at 08:43 p.m.
Indianapolis Colts kicker Pat McAfee recovers his own onside kick in the first quarter of "Thursday Night Football" against the Houston Texans.